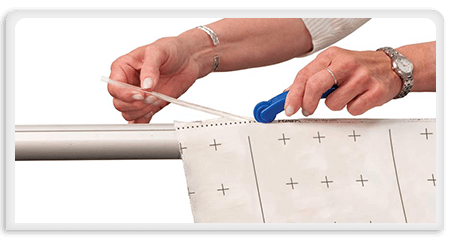 The Start-Right EZ3 is the perfect way to begin hand quilting! 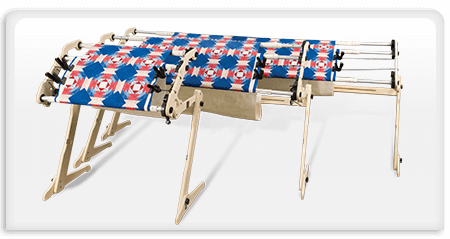 Even with an entry-point price tag, the EZ3 boasts a top-of-the-line 3-rail system so you can quilt without the hassle of basting. The work area can also tilt to four different angles, conveniently letting you work at the angle most comfortable for you. The EZ3 also folds up for space-saving storage. Hand quilting is a treasured skill that has withstood the test of time. Today it is considered a highly rewarding labor of love for those who practice it. 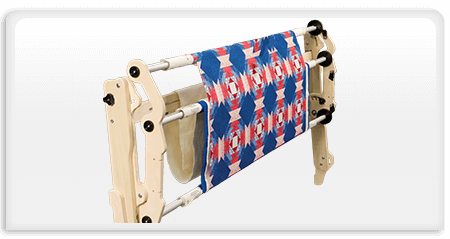 The Grace Company hand quilting frames have deep roots in this traditional art, as well as innovative new features that make hand quilting easier and more convenient. 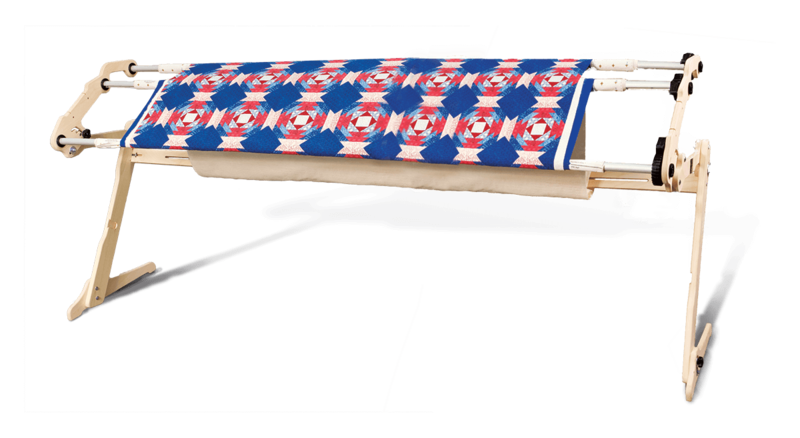 On the EZ3, each layer of fabric in the quilt is rolled on to its own rail, with all of them coming together on a "take-up" rail. 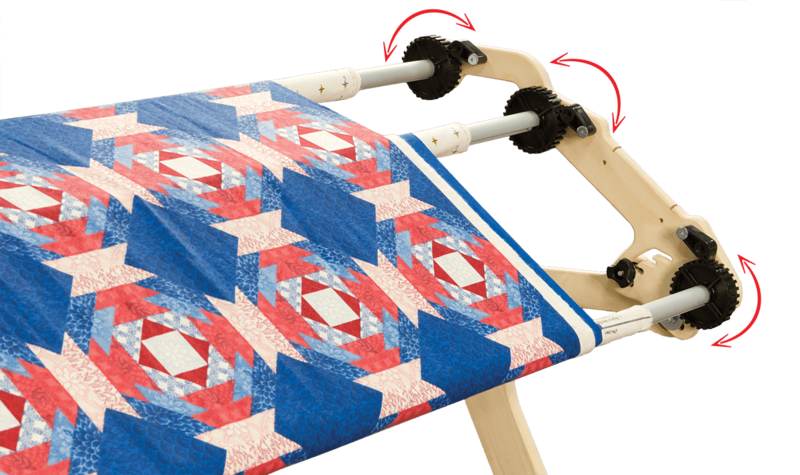 The 3 sturdy aluminum rails and precision ratchets make it easy to handle your fabric and tension without basting! Each of the main rails has a 30 tooth ratchet for superior tension control. The Start-Right EZ3 sets up in one of 3 possible sizes. No-matter your project size, it is always recommended to set the frame up as large as your quilting room will allow. You can tilt the work area of the EZ3 to one of 4 different angles for maximum comfort. 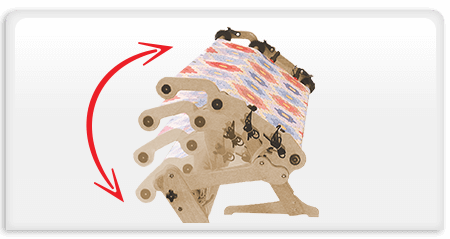 Sitting in the position that is most comfortable to you will reduce stress in the shoulders and back as you quilt. It is recommended that you leave some empty space on the sides of your rails for the bungee clamps to get good side-tension. 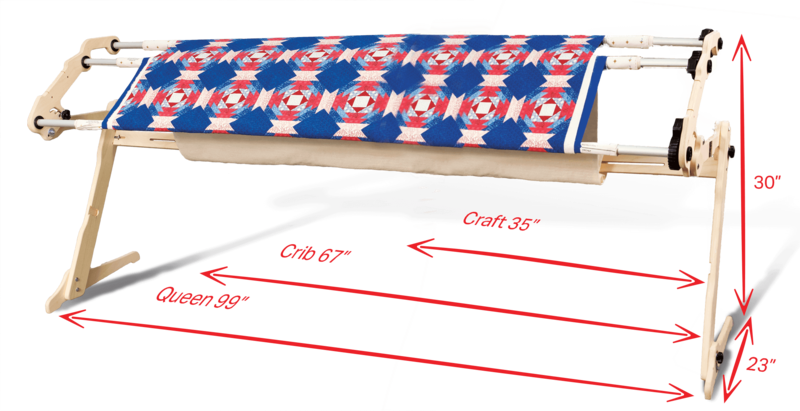 The length of your rails, minus the space needed on the sides for the bungee clamps, determines the maximum quilting area.